Matagorda, Txs, bold and well struck blue 33.5mm cds and matching "10" rate (manuscript obliterated) on 1849 FLS to Sec. 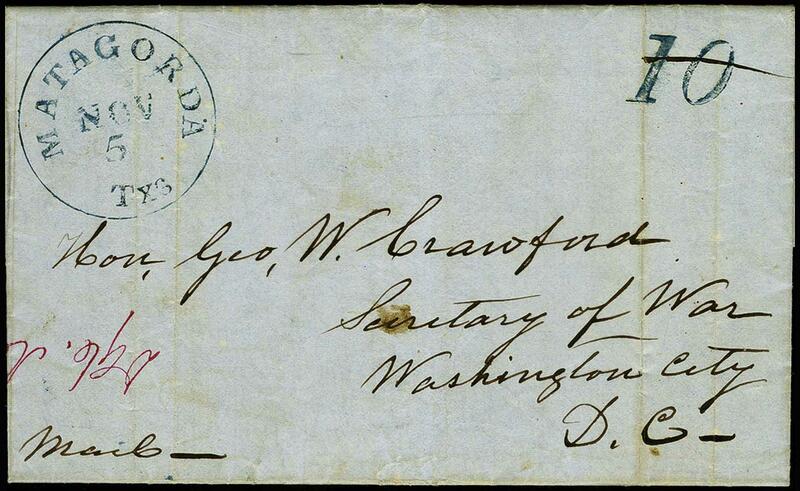 of War in Washington D.C., detailed letter mentioning improvements of Colorado River at Matagorda, Very Fine. (ASCC $75).